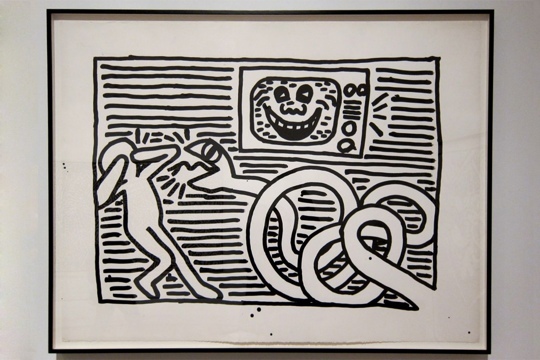 Spanning a period between 1978 and 1982, the retrospective art of internationally celebrated artist Keith Haring will be exhibited at the Brooklyn Museum until July 8th. 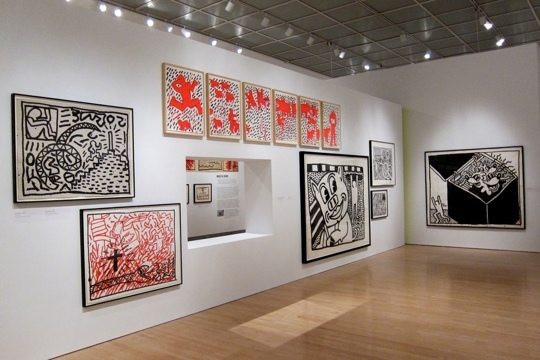 The four-year period marks the early years of Haring’s career, during which he attended the New York School of Visual Arts. 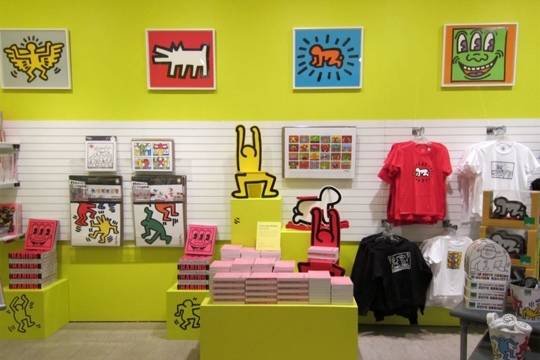 This collection covers a wide spectrum of mediums utilized by Haring, including works on paper, video and other objects like sketchbooks, journals, posters and subway drawings. 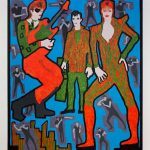 The exhibition chronicles the period in Haring’s career from his arrival in New York City through the years when he started his studio practice and began making public and political art on the city streets. 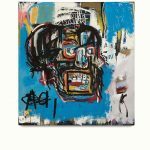 Immersing himself in New York’s downtown culture, he quickly became a fixture on the artistic scene, befriending other artists such as Jean-Michel Basquiat and Kenny Scharf, as well as many of the most innovative cultural figures of the period. 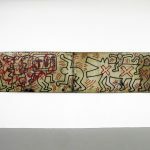 The critical role that these relationships played in Haring’s development as a public artist and facilitator of group exhibitions and performances is also explored. 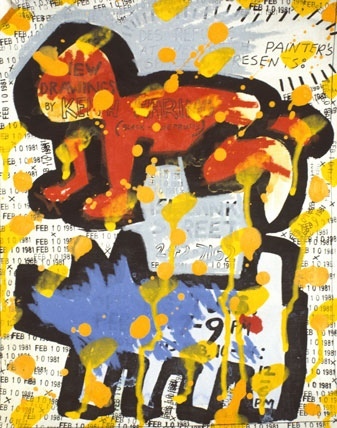 Pieces on view include a number of very early works never before seen in public; seven video pieces, including Painting Myself into a Corner (his first video piece) and Tribute to Gloria Vanderbilt; and collages created from cut-up fragments of his own writing, history textbooks, and newspapers. 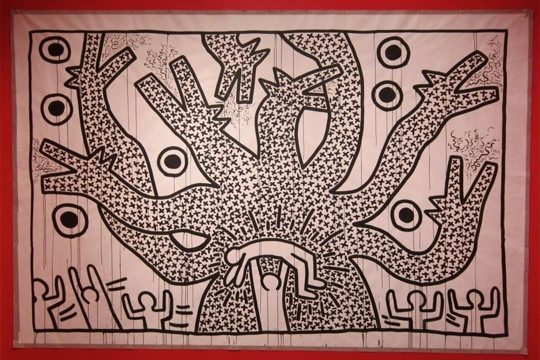 Keith Haring: 1978–1982 is curated by Raphaela Platow. 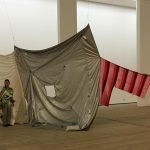 The exhibition is co-organized by the Contemporary Arts Center, Cincinnati, and the Kunsthalle Wien. The Brooklyn presentation is organized by Tricia Laughlin Bloom, Project Curator, and Patrick Amsellem, former Associate Curator of Photography, Brooklyn Museum. 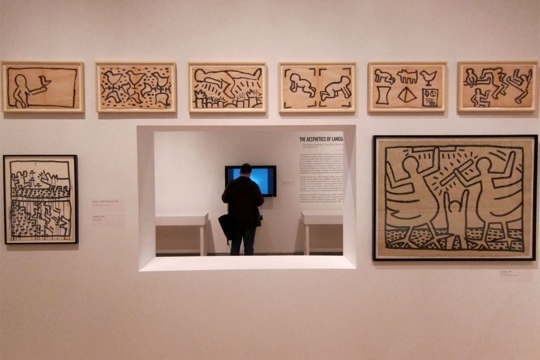 This entry was posted in EXHIBITIONS and tagged Brooklyn Museum, KEITH HARING. Bookmark the permalink.